Advice provided by the multi-award winning Aisa Group. **(Rated best UK pension & EU advisory firm by 5 different publications in 2017). If you have £250,000 or more in your pension or investments, our award winning advisers can show you how to increase your growth or income, and avoid bad advice and hidden charges. Four simple steps to ensure best outcomes for your pension. Advantages and disadvantages of considering a DB pension transfer. Only authorised and regulated firms of advisers will assist you. A FREE fact sheet with information on qualifying criteria and assistance. No commission. Our advisers are fee based; they work to benefit you rather than service providers. Yes! 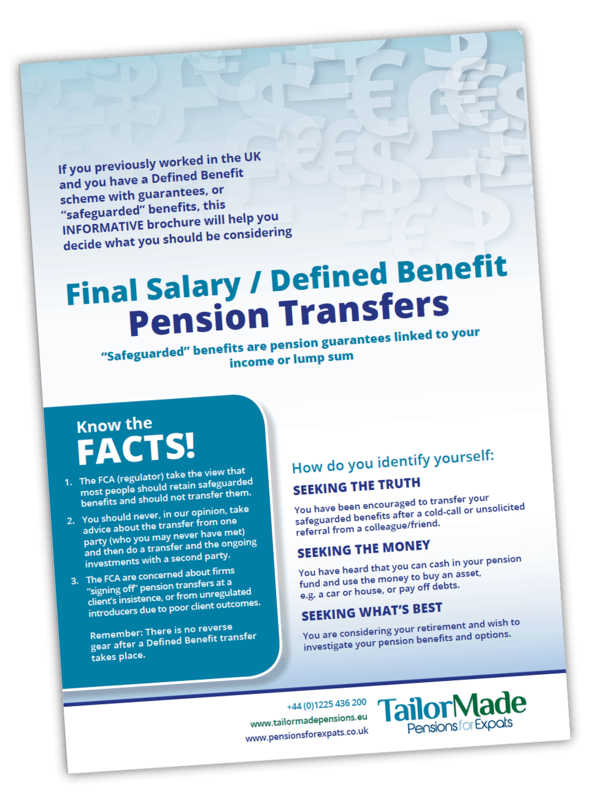 I would like to download my FREE Guide to Defined Benefit and Safeguarded Benefit pension transfers. Be wary of non-UK firms acting as advisers who use a UK firm to “sign off” the pension transfer. 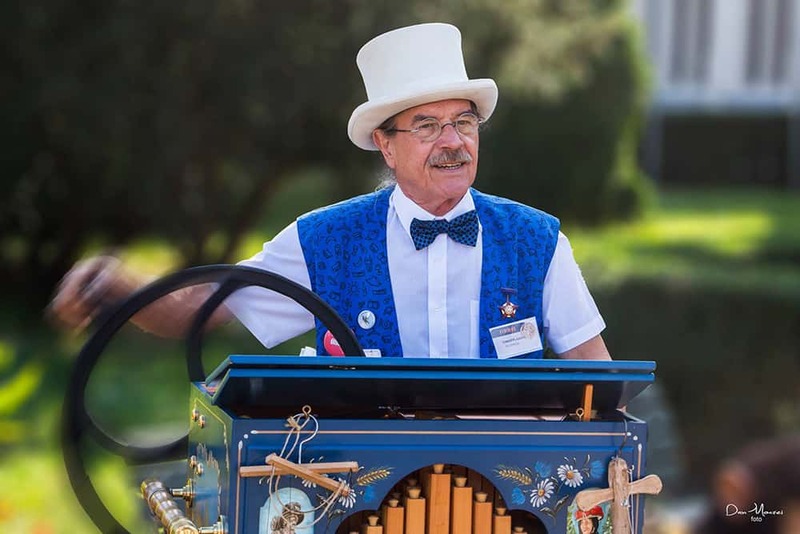 To put this into laymen’s terms, ensure you ‘Talk to the organ grinder and not the monkey’! The regulator believes that over 50% of defined benefit transfers lead to poor outcomes for you, the clients. For offshore advice this rises to almost 90% of cases advised by COMMISSION based salespersons. Ask about the experience and qualifications of the adviser – they really should be Chartered or Certified for this type of advice – always ask for evidence. Nigel, not his real name, was recommended to transfer his Defined Benefit (DB) scheme for flexible access, so his wife would receive funds upon his death and the transfer would remove it “from the clutches of the Treasury” in the UK. He was told it had a 1% annual charge plus trustee fees of £250 per annum. He was promised double digit returns if he locked part of his money up for 6 years. If Nigel’s story is your story, then his outcome could be your outcome. Nigel lost his pension and his retirement was destroyed. What should you check now to avoid this? Nigel had been sold a SIPP on the basis of a fraudulent report based on 1% charges. He had been asked to sign a waiver from a Spanish company so they were not responsible for the advice. However, he had also signed a waiver with the UK firm signing it off, so they were not responsible for the advice. He accepted a separate advice letter with caveats saying that the final charges may be different from the basis of charges that the report had been prepared on! Nigel’s pension had been put into assets he could not access for years without penalties; an insurance bond wrapper and structured products which were not in the original transfer report. An insurance bond wrapper is completely unnecessary in a QROPS or a SIPP! How bad is your problem? If an insurance bond is unnecessary, why would it be sold to you inside a QROPS or SIPP other than for commission? Remember question 1 above, and the idea that you did not have to pay for advice? FACT: An insurance bond wrapper can pay a large commission to unscrupulous salespersons. Along with other commission products it can be up to 13% of your fund. Nigel lost most of his money in his SIPP but the sale of a QROPS could have resulted in a similar outcome. He had no reason to think that he had any problem until the salesperson disappeared. He had been lied to by his offshore “adviser” and the chances are, if you are like Nigel, and your salesperson is telling that the charges are only 1% per annum, then your salesperson is lieing to you as well. You pay much higher charges for years linked to the commission. You have an access surrender charge on your fund(s) of up to 10%. You pay additional higher charges linked to funds. Often double. You may have been placed in higher risk investments to compensate for charges. In addition to all these higher charges, we find that in many cases, you will have been also put in other commission generating products. There is a possible solution, but it cannot help everyone! What should be in a DB transfer report for you? Advice as to whether a transfer will meet your objectives. It should discuss your expenditure and needs in retirement. Discussion about risk and your understanding of it and whether a transfer is within your acceptance of risk. The report should have the full costs and charges of the recommended products and the fees for the advice. Cashflow assists understanding of benefits or losses. Ask for a professional to assess your risk and target for retirement. Maybe, pay for a report. Ensure your professional is registered with the regulator in your country AND openly declares third party connections in other regulated territories AND allows you to vet them. What should NOT be in the report and what should you AVOID? Contact us or watch our video. If you want to be safe and if you want to avoid losing your retirement income, our recommendation to you would be to contact a fee based adviser who is regulated in the UK to give advice on Defined Benefit and Safeguarded Benefit pension schemes. Don’t be Nigel, and have to return to work when you thought you had retired. Take action now or take the consequences in your future retirement. Watch our video to find out more. However, if you want our help, please understand we cannot help everybody and we will be upfront with you. Over the last 20 years we have wanted to change the status quo by focusing on making life better for consumers. Ferocious independence, due diligence, robust research, strict governance and procedures aligned with transparency on fees, charges and the “truth” have helped establish us as the “go to” award winning financial adviser. Our research and persistence liaising with providers to deliver what is good for you, the consumer, means we can provide TailorMade intelligent solutions putting you first. We provide a customer charter to our clients, and PLEASE NOTE we offer the most competitive terms, bettering any legitimate deal that can be evidenced. We deal exclusively with pension providers that comply with both the spirit and the letter of the UK and US regulations. We believe this to be in the best interests of our clients and in our own professional best interests. Uniquely we offer the best award winning UK IFA spectrum, combined with international experience and knowledge. Our expert knowledge is provided by the “Aisa Group”. Internationally we have several firms in different countries both within Europe (including the UK) and outside of Europe, often known as Aisa International. 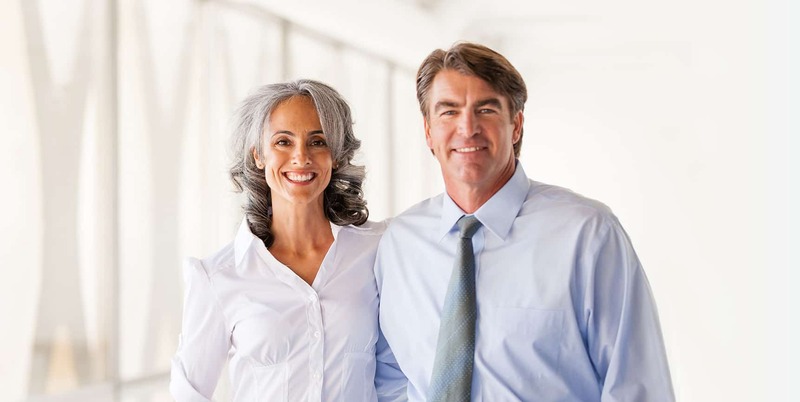 Aisa Group have been acclaimed in the UK for pensions, investment and tax advice – multiple finalists and 20+ times award winners between 2009 and 2018 including UK Investment Excellence awards, UK Pension Awards won and tax planning awards from publications including FT.
Q: The advice I received was paid for by the product provider I was recommended. Why is that severely impacting on my retirement fund? A: Your product provider paid a commission to the adviser’s company which is not reclaimable. If you want to access your funds in the early years (up to 10 years) your funds have to repay this commission plus provider charges in the form of an access or surrender penalty. In the meantime additional charges are put onto your funds for years in order to recoup this commission. All these surrender penalties and charges impact on the future growth which compound up over the years to severely impact your retirement fund. Q: I have been told I am only paying 1% per annum for Fees / charges. Is this true? A: If you are investing into equities or associated collective funds, then this is unlikely to be true. You should seek a review from an independent adviser. Q: I was never told the commissions the adviser was receiving. What would they have received? A: Usually between 6-9% plus another 3-5% for Structured products and funds with different buy and sell price. In the worst case scenarios we have seen people who have paid 14% up front commissions without being aware. For a £150,000 fund then this represents £21,000 of commissions and total charges in the first 5 years of around £27,000 without any 1% annual servicing charge added on. Q: I was told to invest in funds that a different buy and sell price. (front-end or back-end loaded were common terms) how does that severely impact on my pension? A: Put bluntly this is just another additional commission, often hidden and not declared. These type of funds are banned in the UK due to the severe impact on returns and poor client outcomes. Q: I have been told that I am only paying 1% annual servicing charge. Is this true? A: Possibly yes. However, this is only what you pay the adviser for his / her annual review work. On top of this are charges linked to the platform/ bond, funds and commissions which can add up to a lot. Why should you put up with hidden commission and charges? We have built a system that will provide you with a FREE risk assessment report, and a FREE summary outlining your own personalised financial health check. You have nothing to lose and everything to gain. The worst case scenario is that you discover a fantastic system that will allow you to update your information and complete reviews in the future*. Most people want to know if their pension and savings are in the best place already, whilst also making future plans. 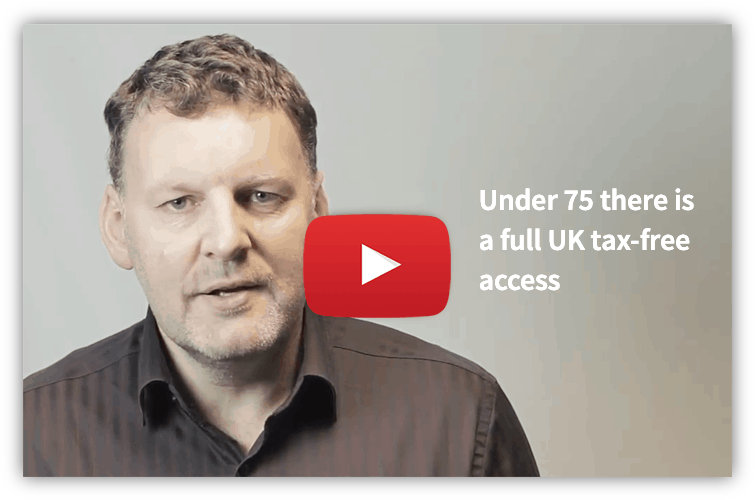 If you have a minimum of £250,000 and are one of those people who want to know about the most advantageous charges and access (if you are reading this, then you probably are) then why waste more time? * The first review is free. We reserve the right to charge fees in the future for the use of software and reports. ** We have received over 200 enquiries between January 2017 and December 2017 from people sold QROPS with 73% of them in distress, and who were not told the correct charges on their products. Many of them had hidden commissions and lock-in penalties, some up to 10 years. Please send me my free brochure and further information. Please don't send me a free brochure or further information.